My friends never cease to amaze me. Poet Stephen Vincent has written letters to Jack Spicer, put them together into a manuscript entitled After Language: Letters to Jack Spicer and Blaze VOX Books has published them. Here's one now, then where to buy the book. Anyway, Jack, that is the way I have been reading you. A ring around the poem. It does not fall down. A ring around the poem. The dance the eye makes. The ear. Sometimes you are obnoxious and terrible. Sometimes hopelessly bittersweet. A self-loathing you do go. Other times the transparency, the poem with an utter overwhelming clarity. The “you” is way gone. Plato’s figures illumined without a shadow on the wall. No wonder you got more than your fingers burnt. Those messages. ALL TERMS AND CONDITIONS MUST BE ADHERED TO. FAILURE TO COMPLY WILL RESULT IN DISQUALIFICATION OF ENTRY AND FORFEITURE OF ENTRY FEE. Winners Announced: late February 2012. 1. All work must be previously unpublished. Work broadcast, or performed, are classified as published. 2. The Fellowship of Australian Writers (WA) reserves the right to publish the winning, second place and highly commended entries in its publications. Results will be published in FAWWA publications. 3. Non-award-winning manuscripts are destroyed after the competition and will not be returned. Ensure you keep a copy. 4. A pen name must be used and CHANGED for each poem. The real name of the author must not appear on the manuscript. 5. Each poem must have a cover page with only the following information; Competition, Title of Poem, Pen Name. 6. A COMPLETED entry form must be enclosed. Ensure all sections are filled out and the entry form is signed. Entry fee of $10 per poem should be paid by cheque or money order made payable to FAWWA, or by Visa or MasterCard. Credit card payments. Sending of cash is at competitor’s own risk. 8. If a list of prize-winners is required, please send a stamped, self-addressed envelope with your entry or provide your email address on the entry form. Note: It is the competitor’s responsibility to ensure entries comply with all the terms and conditions of entry. If any entry is excluded due to non-compliance of these terms and conditions, the competitor will not be notified nor will the entry fee be refunded. And it's at the poet's best price - FREE. Sign up today! 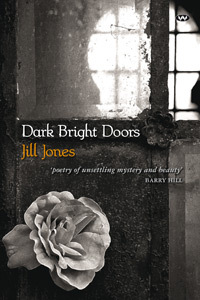 Australian poet, Jill Jones, has long been a friend of mine (I'm proud to say). We met on an internet literary list and connected through poetry events across Australia. In recent times I have become even more transfixed by her poetry because of the playfulness of much of her process, playfulness which often leads to enriched art. 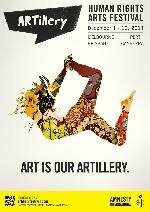 It is a truism that all art begins in play but it also needs that underground, that rich vein, to hoist it out of the everyday. 'Making the extraordinary out of the ordinary' has become a cliche, but there is an element in Jill's poetry that does just that. She'll catch a train and you'll end up thinking of many another journey. She'll hear a song, apply it to a place in her memory, an event, and your matching set of memories will come to life. I'm a fan. I've recently been travelling around a bit, and I've been reading Jill's latest book, Dark Bright Doors (Wakefiled Press, 2010), in coffee lounges, airports, on board planes, in buses driving through other landscapes, and strange bedrooms. It has been its own journey, enjoying the poems and searching down the process she went through to create the poems. So many layers to enjoy! The creation of poetry is at least a two-hander - the poet and the reader. When you read these poems, you too will become engaged in a richly various creative journey. Dark Bright Doors raises questions of the self, as well as the ecology of place and language. This is Jones at her most versatile and idiosyncratic, at times a little wild and dark. The poems are intimate, sharp, self-critical and very present. The first of a series of public events, this sold out Poets Forum Reading on October 18, 2007, provided the rare opportunity to hear some of the most acclaimed poets of our day, reading together on one stage. Featuring the Chancellors of the Academy of American Poets, the reading celebrated the range of outstanding poetry being written in America. Stream the following tracks, or follow the instructions below to download CD bundle. Bargains galore! Fun and frolic beyond measure! Shop at your leisure and support the kids who need it. Come along and let other people know about it!! 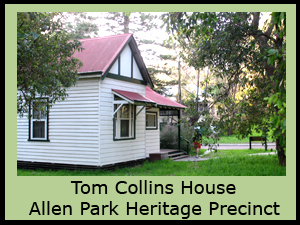 The inaugural Advanced Poetry Workshops in 2011 was met with such success, that the Peter Cowan Writers' Centre will again offer this course in 2012. It will consist of ten monthly Advanced Poetry Workshops for selected participants. Each Workshop will be led by an experienced and widely published Western Australian poet (including Emeritus Professor Andrew Taylor and Professor Glen Phillips). Details of other poets will be provided with a program later. The workshops will be held on the Second Saturday afternoon of each month, beginning 11th February. If selected you will be invited to a lunch that day to meet and hear from the 2011 cohort, who will be launching their anthology. Might I add that I was a poet-tutor in the 2011 series, and the class was a vigorous and interactive one. What they all learnt from the lecturers would have multiplied at least three fold by the inspiration and knowledge gleamed from their classmates. But get in quickly. The competition was tight last year and I can only see it being more competitive for 2012. OTTAWA — Perth poet Phil Hall has won the 75th Governor General’s Literary Award for poetry, it was announced today in Toronto. Joining Hall among the major winners were B.C. author Patrick deWitt in the fiction category for his much-acclaimed novel The Sisters Brothers, and, in the non-fiction category, Peterborough writer Charles Foran for his biography of Montreal author Mordecai Richler, Mordecai: The Life & Times. Hall, who moved to Perth three years ago, won for his collection Killdeer, published by BookThug. The collection includes a tribute to the late Canadian poet and short story writer Bronwen Wallace and Hall’s memories of writer Margaret Laurence, whom he met after hitchhiking at age 19 to Lakefield, Ont., where she lived. Hall, 58, was also a finalist for the Governor General’s Award in 2001. Each GG prize winner receives $25,000. But which way is forwards? It’s a question that plagues a writer throughout a writing project. There’s an answer: If you keep creatively in touch with the fundamentals of your project –the constellation of things that made it all begin to happen– you’ll find you’re going forward. Peter Bishop has thought about these things for 17 years as Creative Director of Varuna –The Writers’ House. He’s shortly to launch an independent program, The Writer Conversation, focused on working with writers through Writers’ Centres and creating new opportunities for writers. In his workshops during his residency, Peter invites you to rediscover the generative strength of the roots of your project. You may have been at it for years, or you may only just be getting serious. These workshops will be invaluable in strengthening the structure and understanding of your work on your project. We’ll work with the individual words, phrases and images that take us into the heart of your beginnings. As preparation, think of a single word that keeps coming to you in connection with your project. And think about the place the writing comes from –the moment you knew this was the project. GROUP TWO will meet from 2 pm –5.30 pm on Sunday 4 December and Sunday 11 December. Maximum number at each workshop: 8. On the Wednesday night, Peter Bishop will tell you about some of the opportunities that will be available for writers through The Writer Conversation. As Creative Director of Varuna, Peter travelled three times round Australia to create the Macquarie Group Foundation LongLines Program. To experience the work of writers in so many very different environments was a succession of revelations. The Writer Conversation builds on this program and the exciting sense of a writing community that is still growing from it. "... assume crash position ..."